iOS 7 has been released and reviews seemed not to satisfy the people all need, but surely stepped ahead towards it early design. Battery life of an iPhone has really been an issue, and doesn’t know how far iPhone developers taken into to account, Apple will surely make a note of this problem and try to solve this issue let’s make yourself to protect the battery life. Some idea’s to improvise the battery life on your own way, here are some technological tips to watch out for. Following ways are not only for iPhone rather to iPad also. People will surely like to attain more attention towards the home screen. Perceptive to this scenario iPhone has enabled flashy looking 3D effect on home screen. The icon’s present in home screen tend to float behind as you move around the screen. This looks really attractive but surely going to use some resource and needs to be noticed. So while you feel that device is lagging a little bit then make sure you turn off this effect named Parallax and try out the work experience with phone at other instance. Here is Guidelines provided to turn off Parallax effect. Settings -> General -> Accessibility, now tap the Reduce Motion button and closure on this feature. Automatic brightness in iOS device screen is one of the major power or battery drainer. If you are in instance of low battery instance, just access to Setting app, pass through Wallpapers & Brightness, now turn off Auto Brightness and now manage brightness according to your needs. Now you are in full control towards brightness and that’s your wish to save battery or not. Radios drains your battery than any other app prevailing default in iPhone. So whenever you move away from Radio just make a simple note to turn off. Used to play offline games then turn on Airplane mode to indirectly cut the access towards the Radio. If you are not using Bluetooth too often turn off when not needed. Best way to improve this is to have quick switch over to Radio elsewhere in screen. iOS have a better performance towards the Multitasking environment, but his comes out from the cost of system resource. You are offered to choose which app to refresh and which not to. Guidelines to implement this is, Settings -> General -> toggle Background App Refresh button, from there onwards you can manage the multitasking or when not required turn off completely. Spotlight in sense used to index files on your device, this surely drinks up battery when you tend to have lots of flash storage content available in your device. In order to gain the battery at critical situation and also if you dint mind to lose the search function, the better way is to turn off the Spotlight. You are also made available to selectively disable data types that are not required. 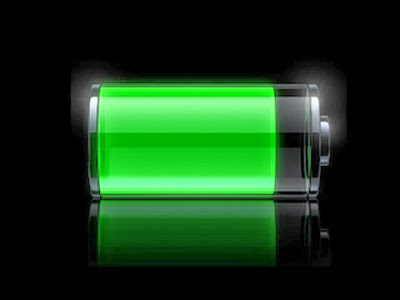 Try out these guidelines to have a better battery backup.